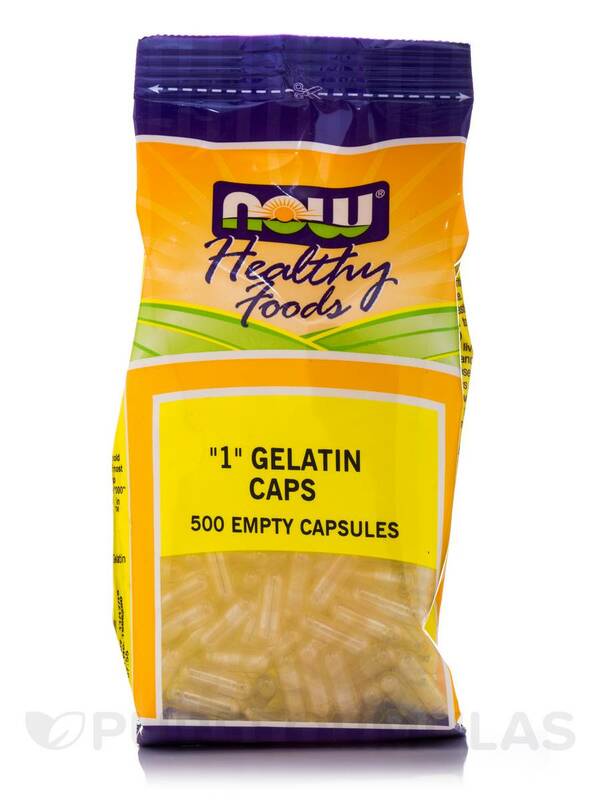 NOW Foods Gel Caps #1 are easy to swallow and easy to fill, The price is great. I will be ordering Gel Caps again!!! If you have trouble swallowing pills, this is the perfect size. Gel Caps #1 by NOW maintains their integrity for a long time and gets the job done. They don't crack, either. I love these caps because the size is easy to swallow and theyre made from all natural ingredients. If that isnt enough the price at pureformulas is the BEST Ive found anywhere. Empty capsules allow you to fill your own powders at desired potencies‚ and avoid tablet binders and fillers. Buying powdered vitamins and filling your own capsules can save up to 50% off most retail prices. 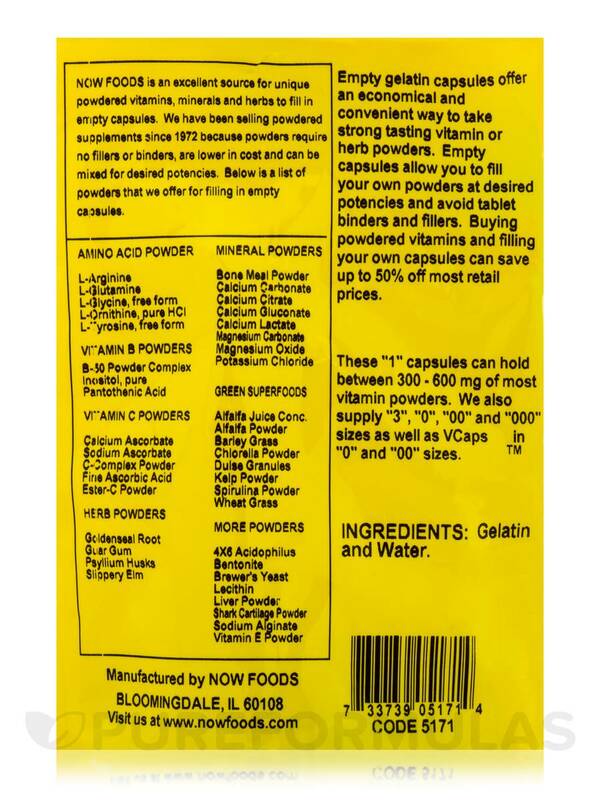 These Gelatin Caps #1‚ depending on the powder‚ can hold between 300 - 600 mg. The '1' size gelatin capsules by NOW is the perfect size for administering liquid anti-acid to my senior cat. The capsule is perfect for her 5 ml dose. With a steady hand I can easily empty the syringe into the bottom capsule. In the top gel, I pre poke little holes using a pin. Giving a cat liquid meds without using a gel cap can be next to impossible and quite messy, plus most meds are not palatable and the cat would just drool and not swallow the dose. I like the Gel Caps #1 by NOW for the ease of use. It was also the correct size for what I wanted for, which was for essential oils, and the price is reasonable as well. Price and ease of use. Not a lot of missing caps. 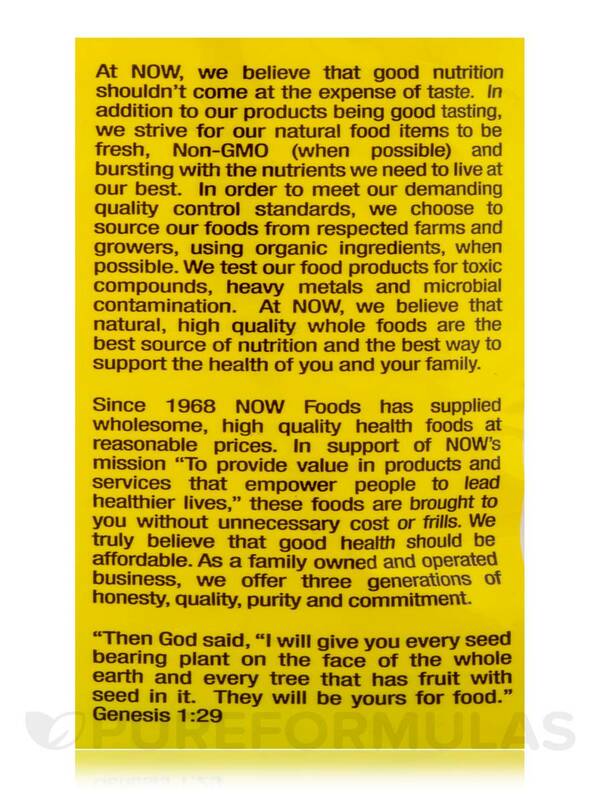 Gel Caps by NOW Foods are excellent and PureFormulas has the best price. Size, easy to fill, price.